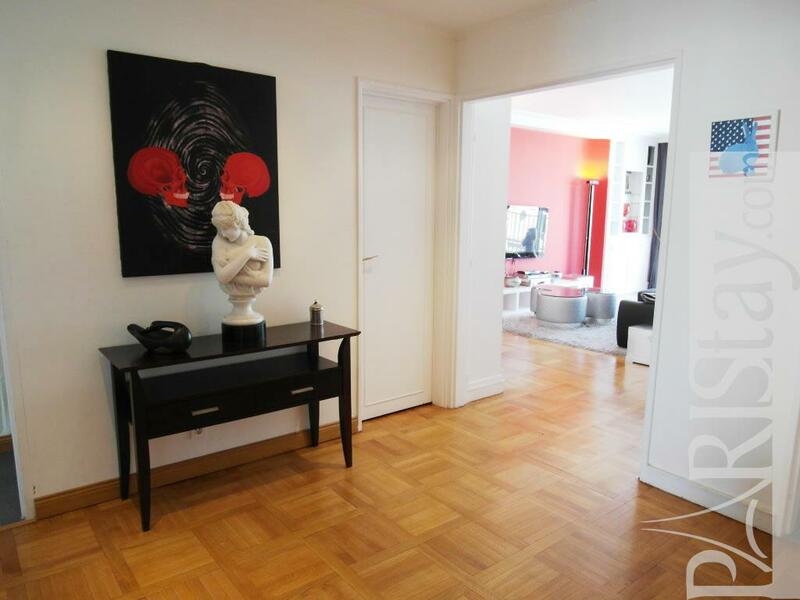 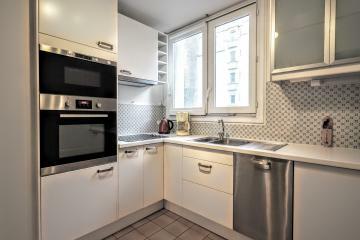 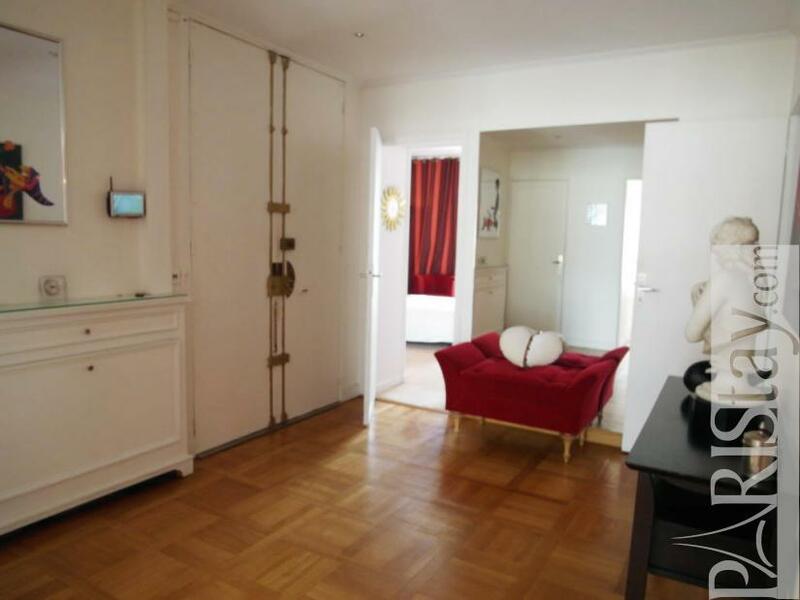 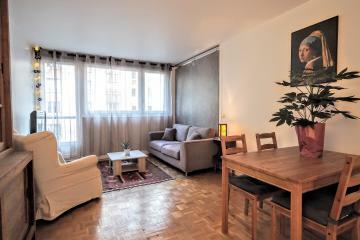 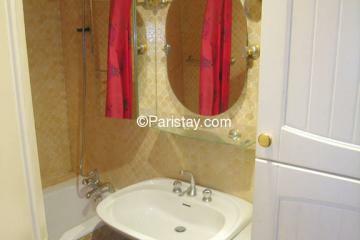 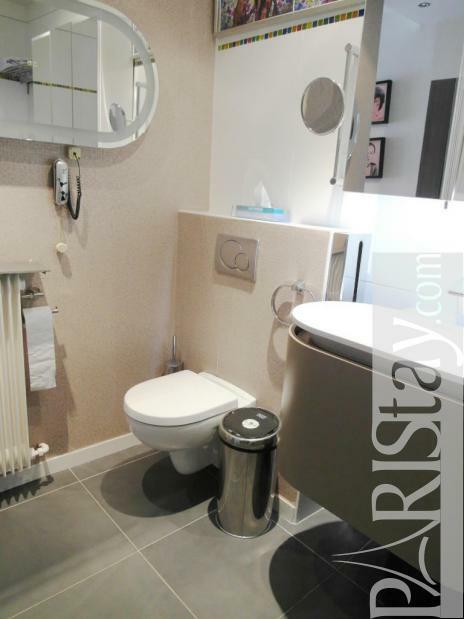 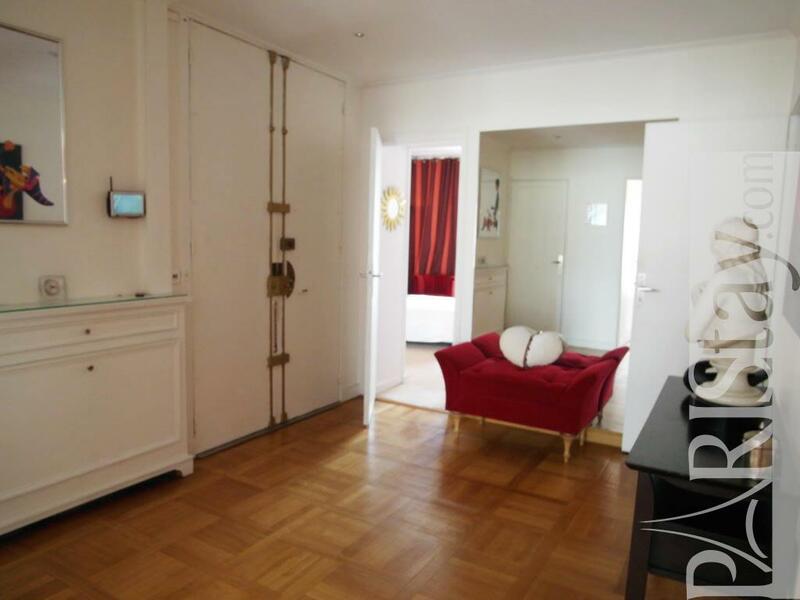 Near Champs Elysées and Trocadero, comfortable Paris 2 bedrooms apartment in the chic and residential 16th arrondissement. 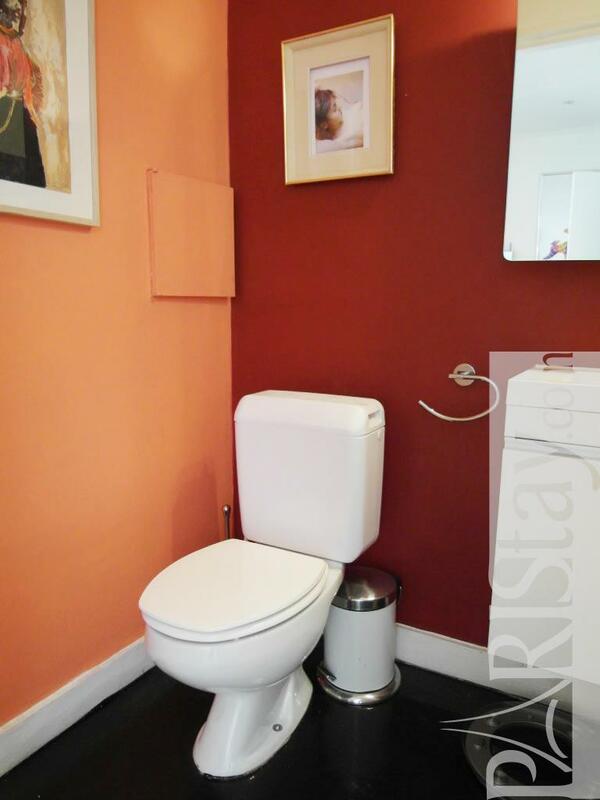 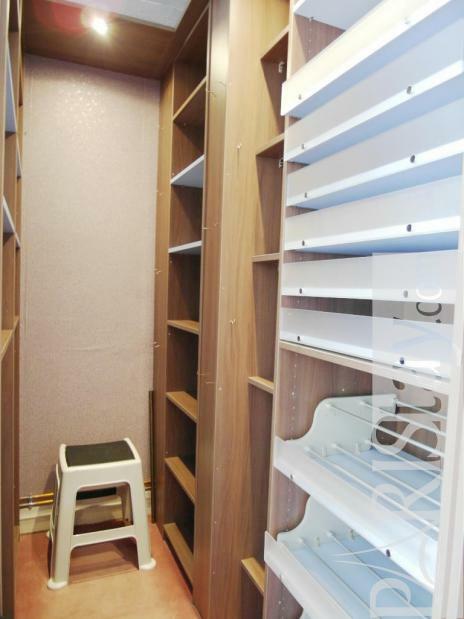 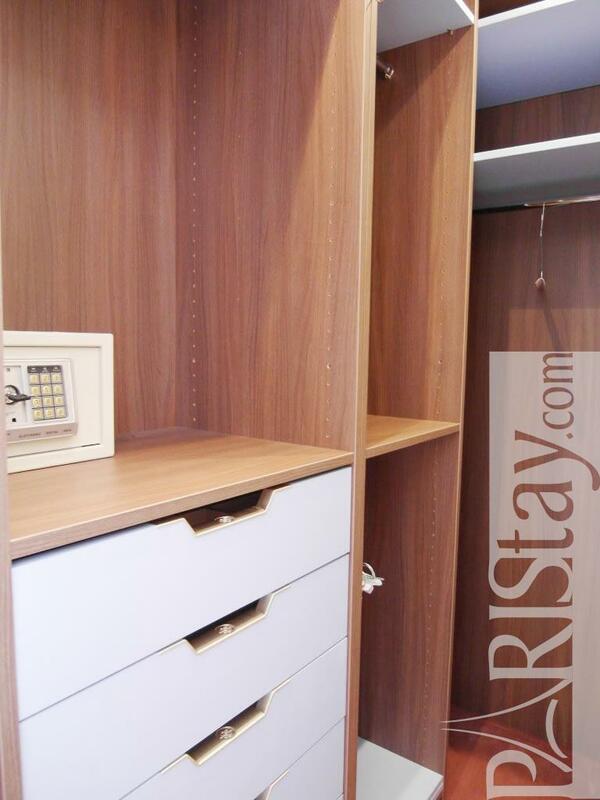 You will feel like at home in this flat, situated in a 1960's safe modern Building. 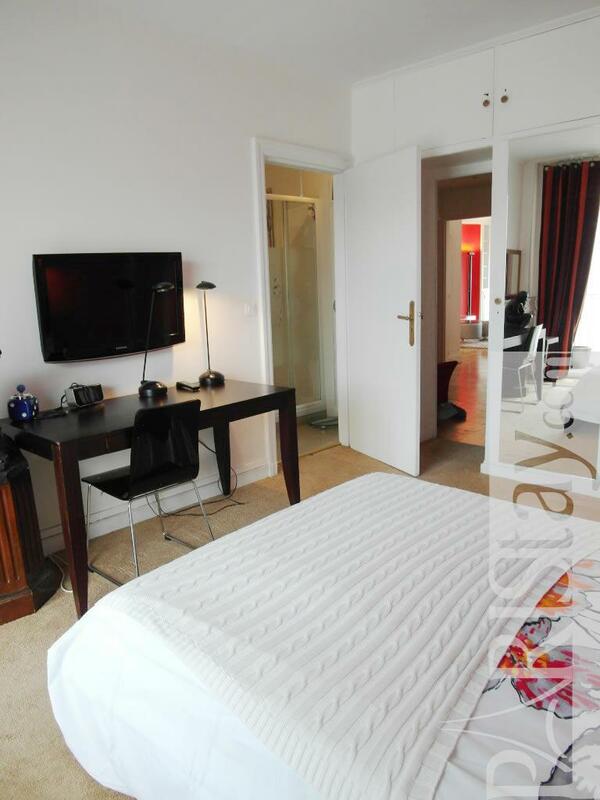 The apartment offers a spacious cosy living room with an open fully equipped kitchen and a dinner area for 6. 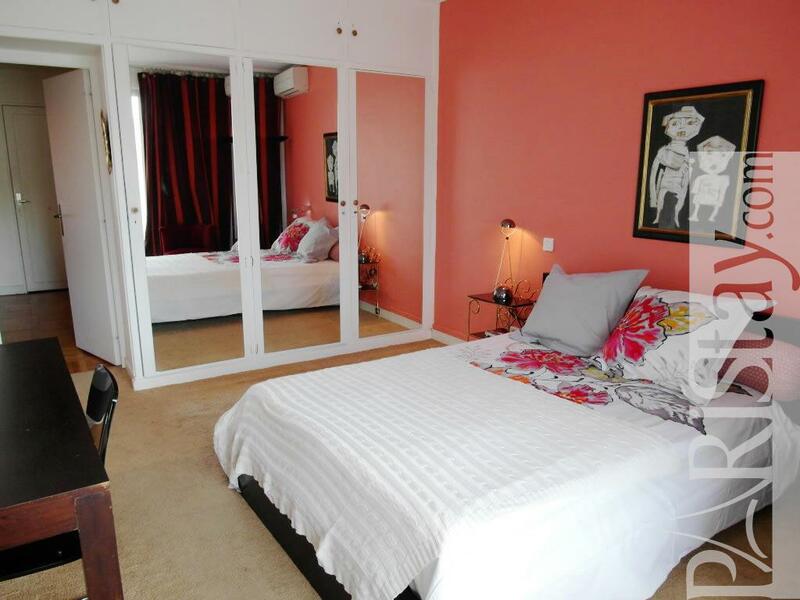 Master bedroom with a large walk in wardrobe, second bedroom with its own shower room and a direct access to the balcony. 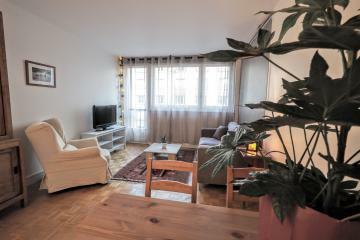 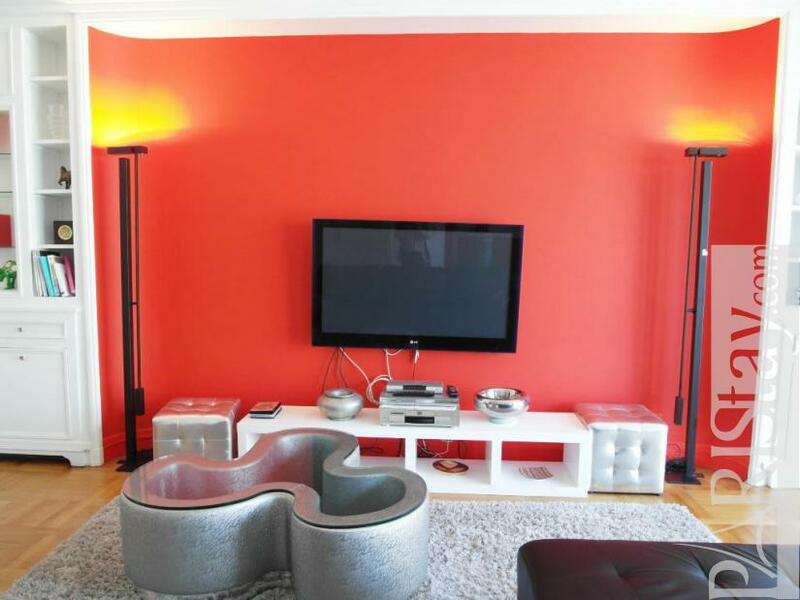 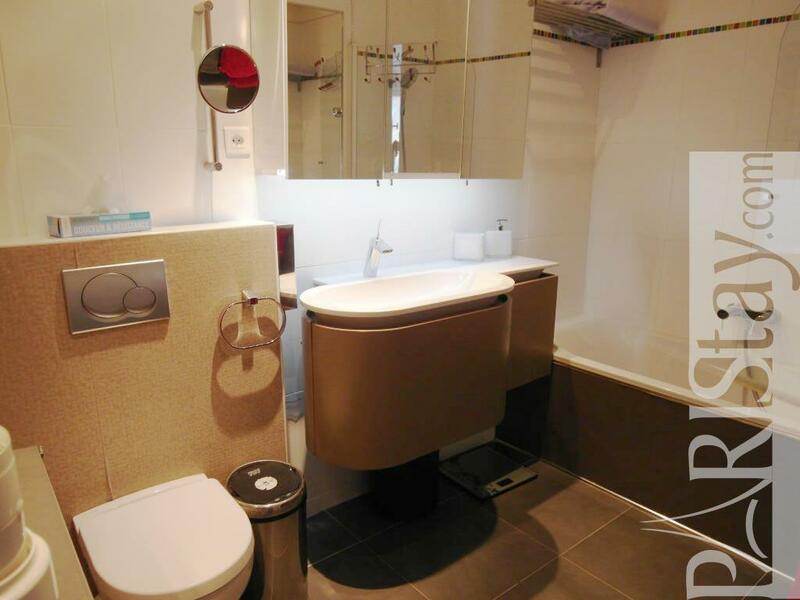 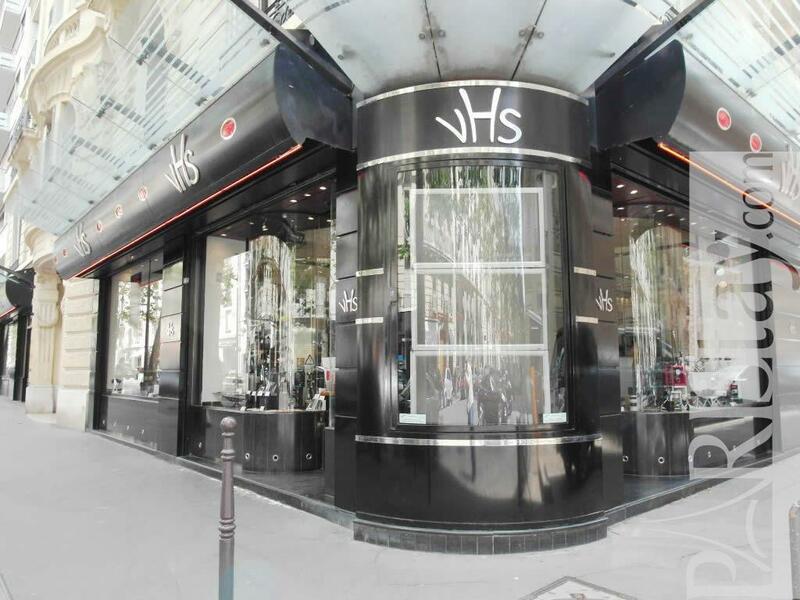 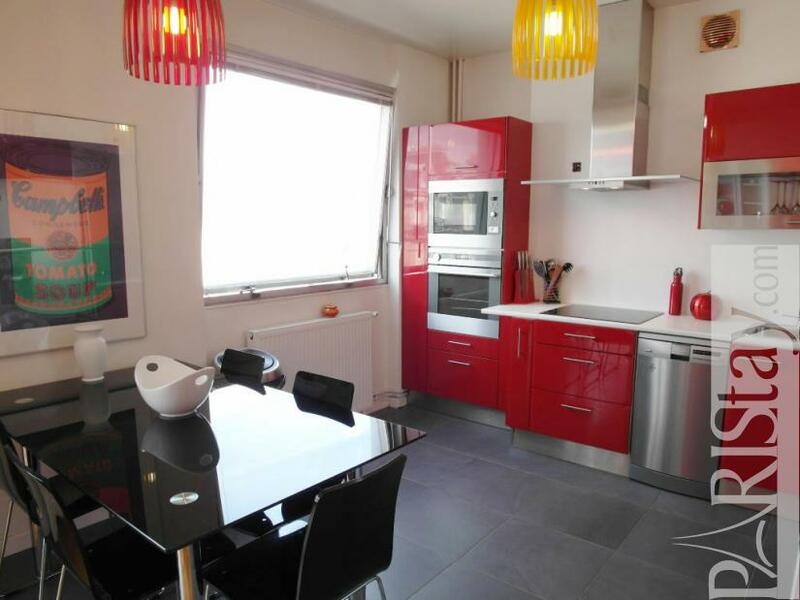 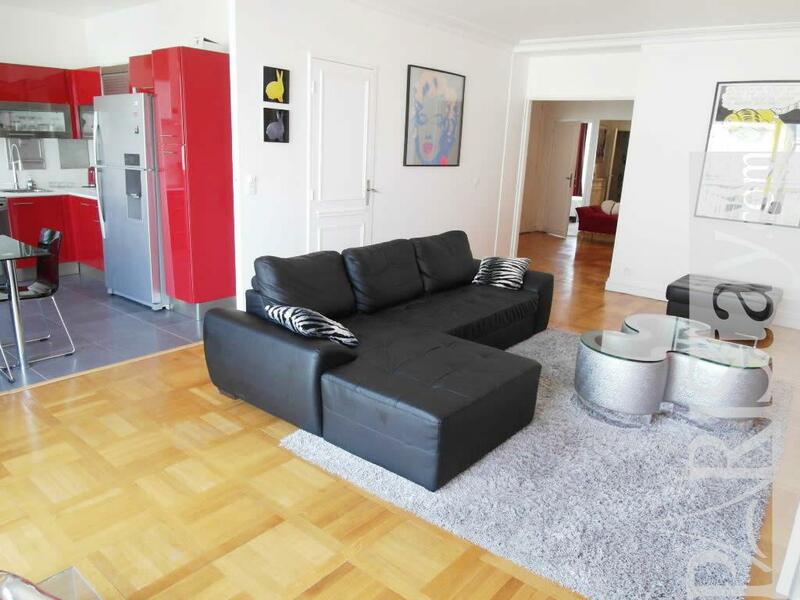 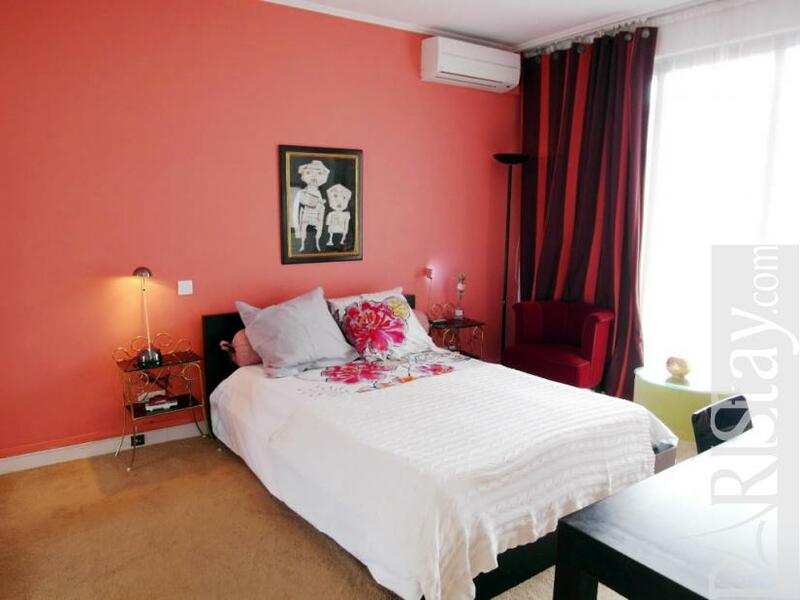 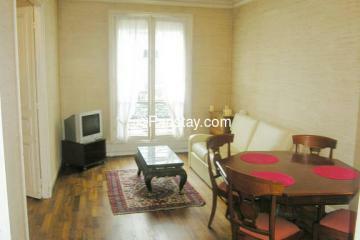 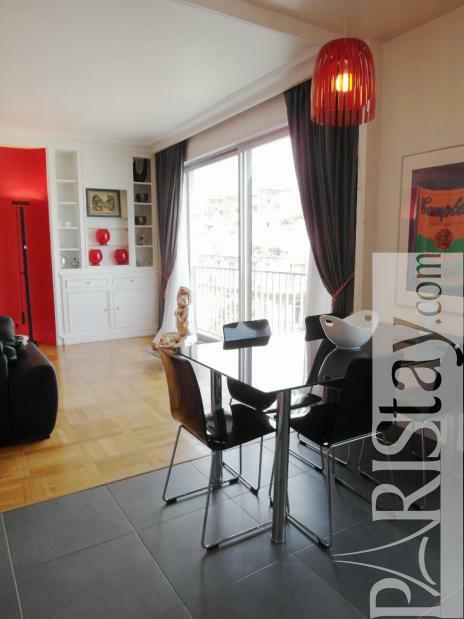 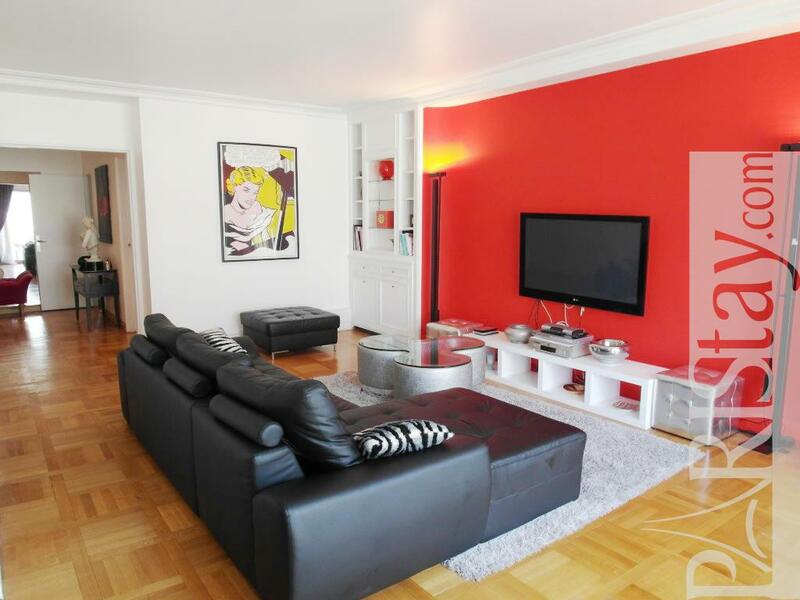 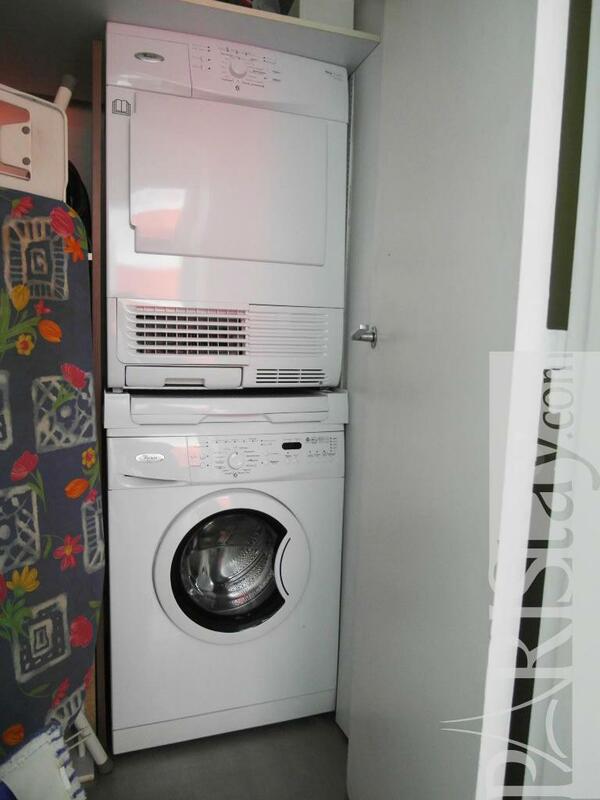 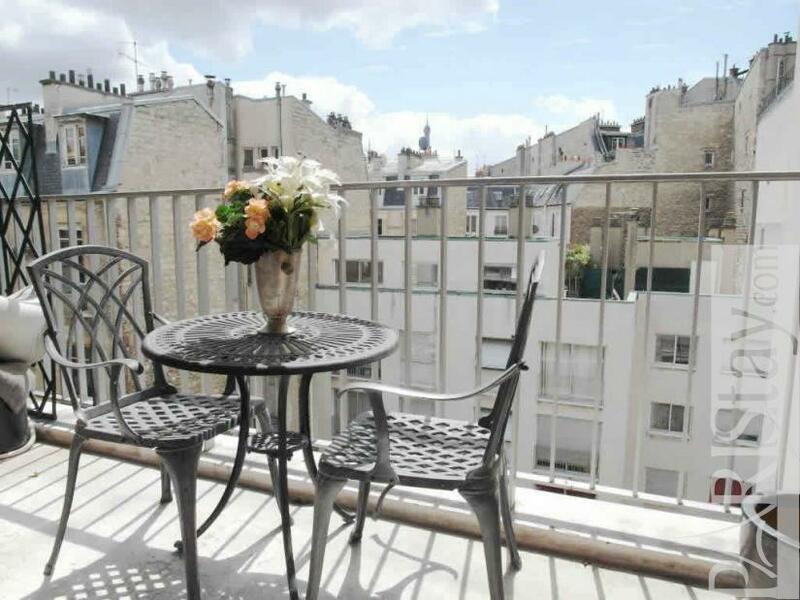 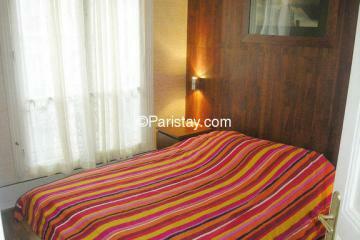 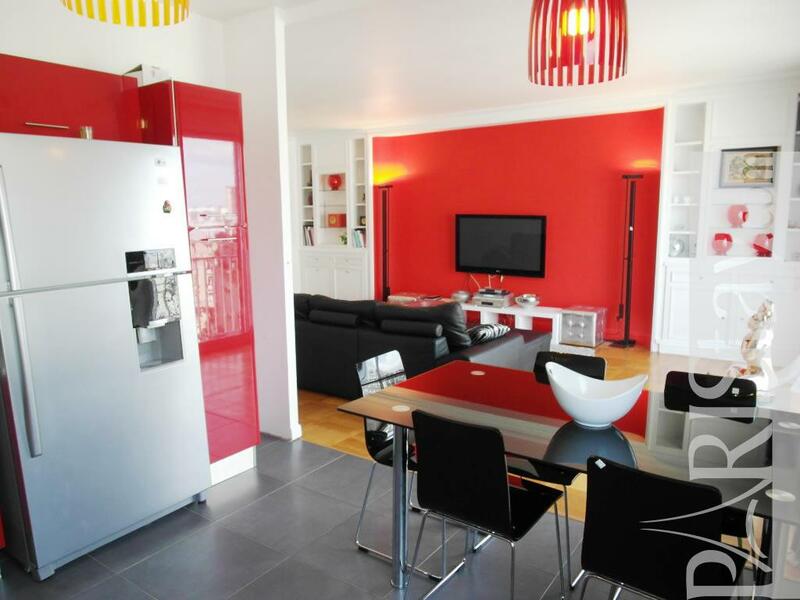 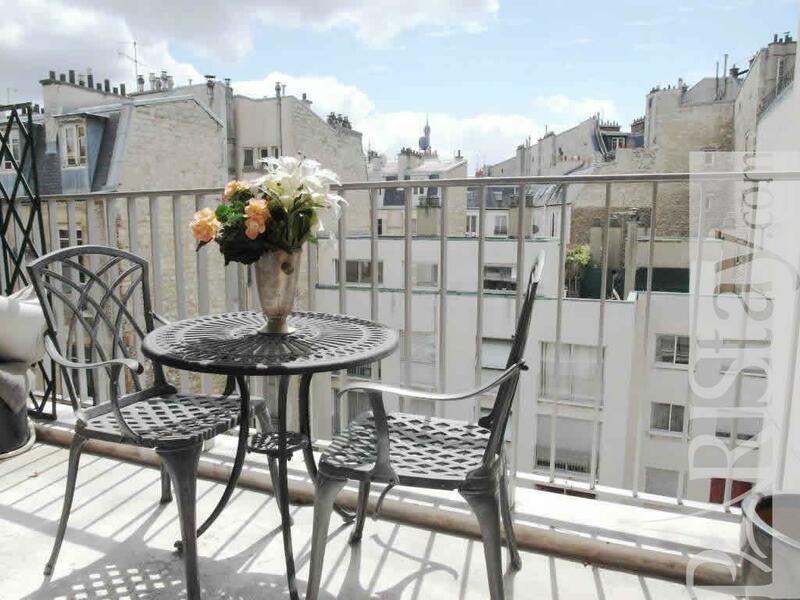 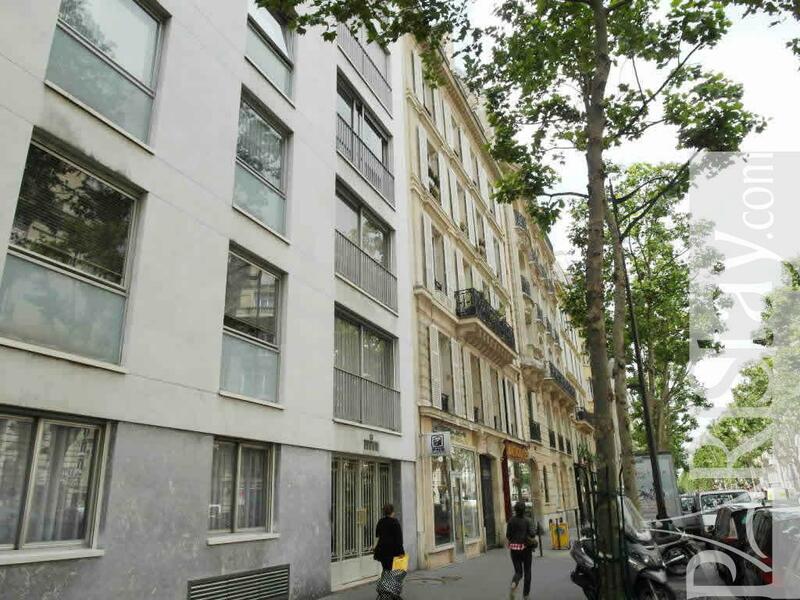 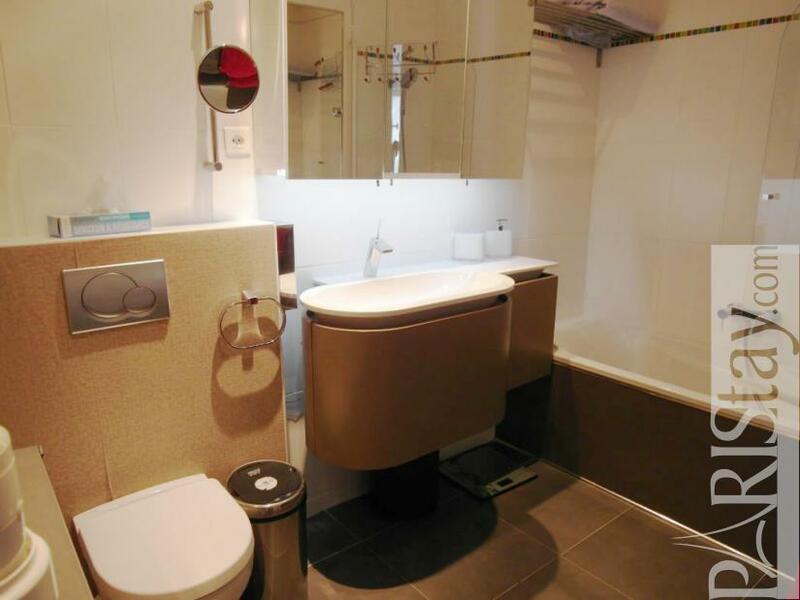 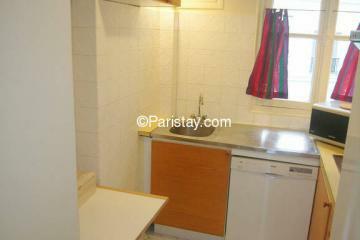 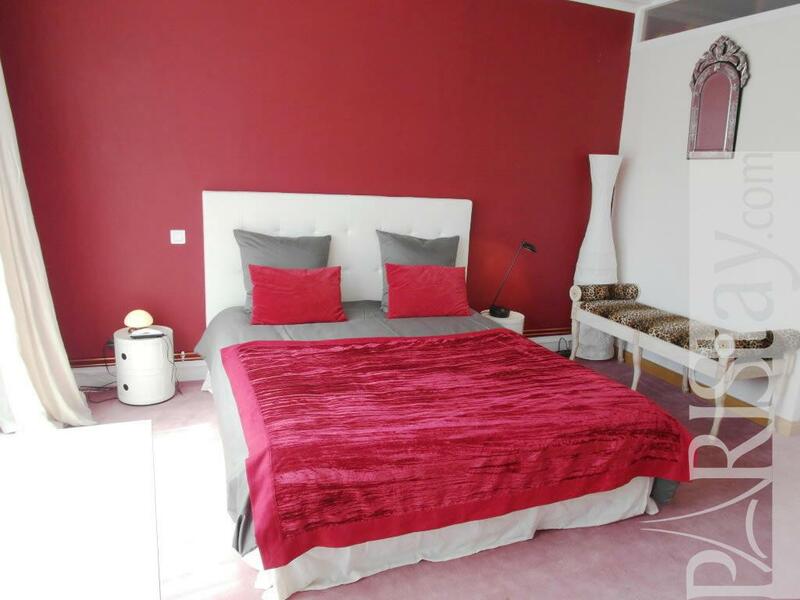 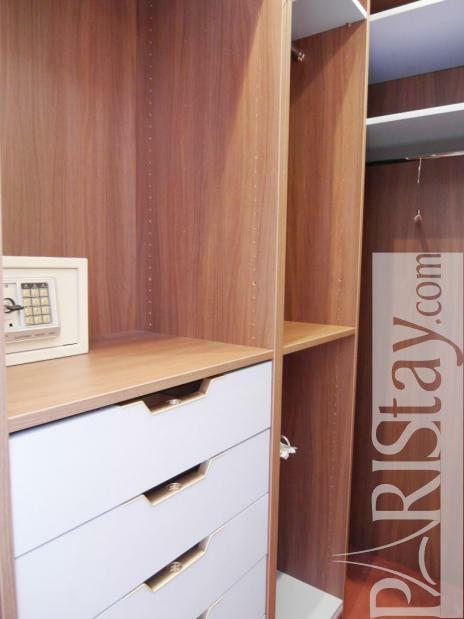 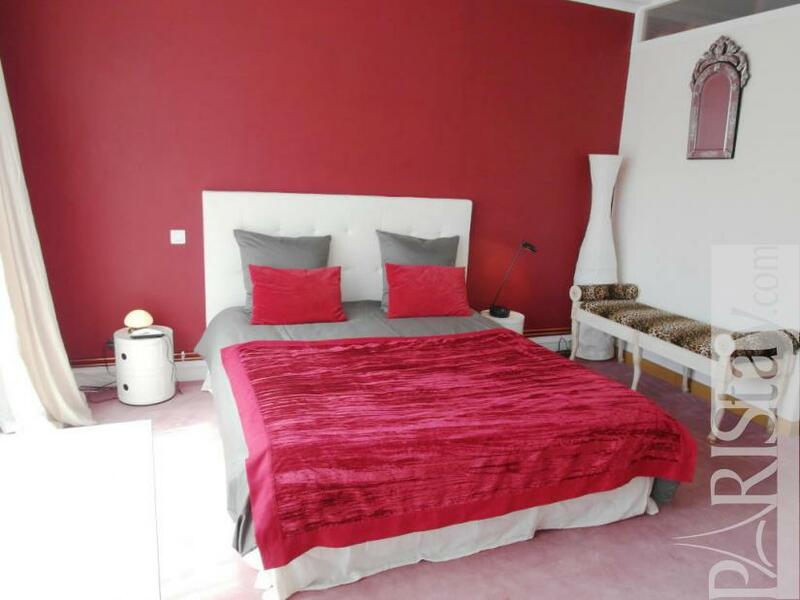 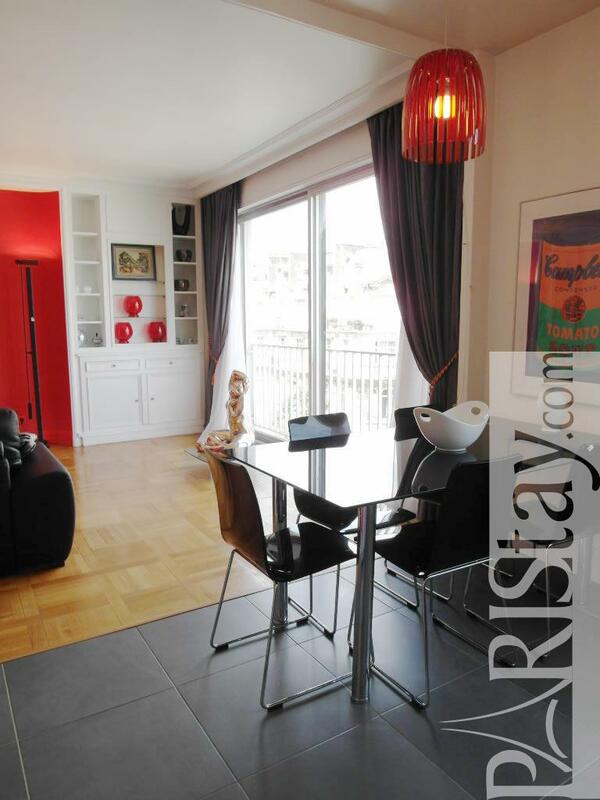 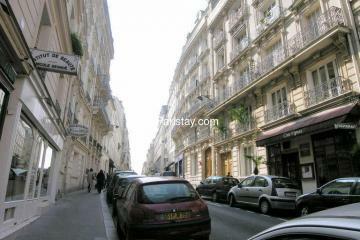 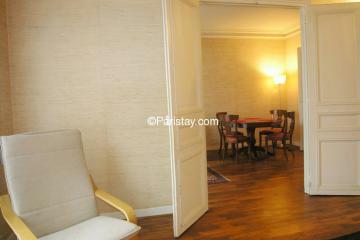 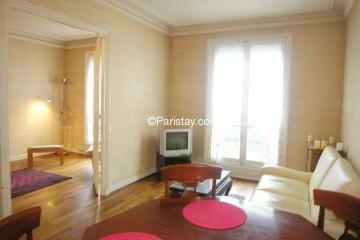 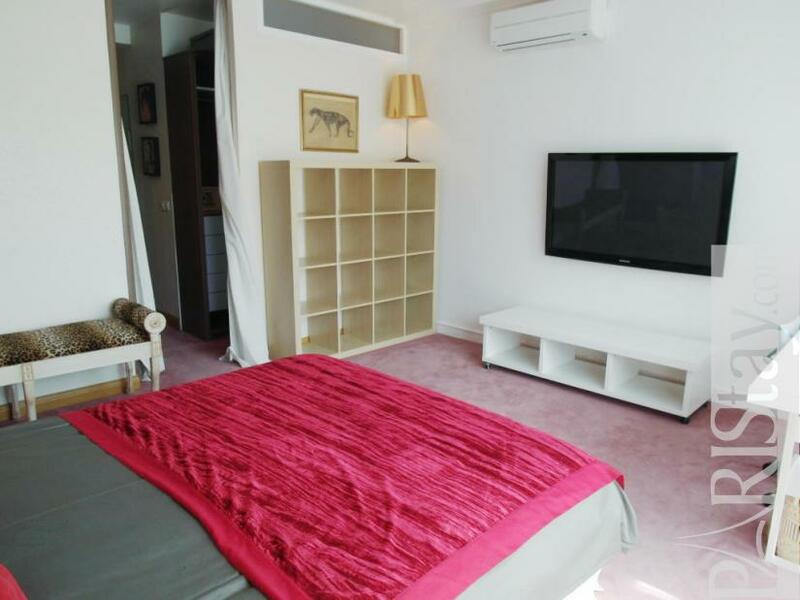 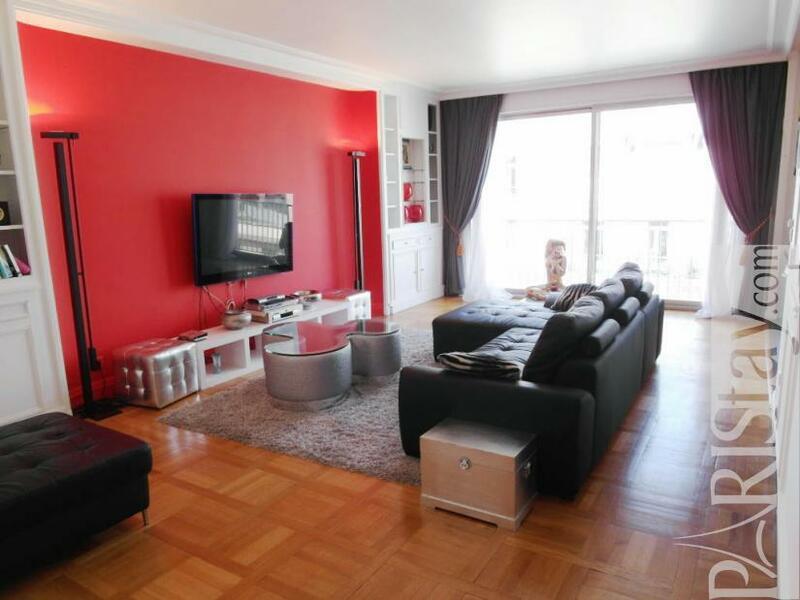 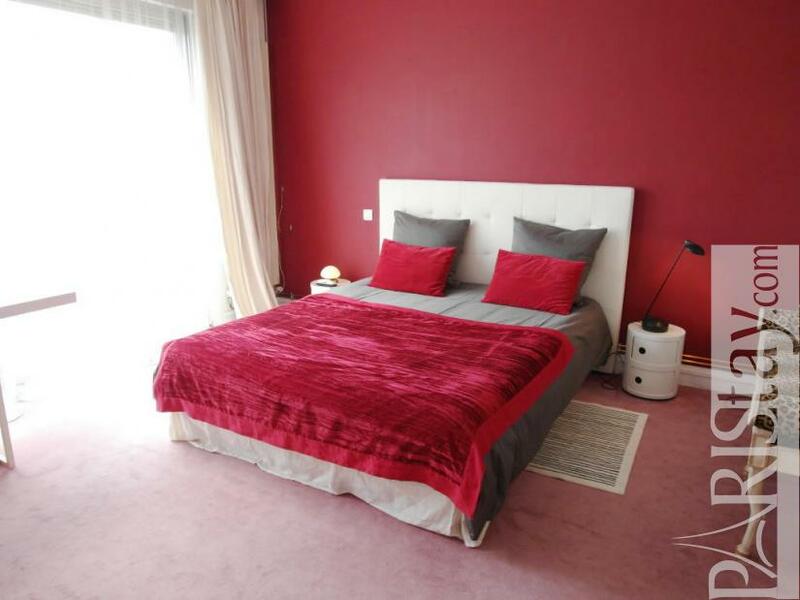 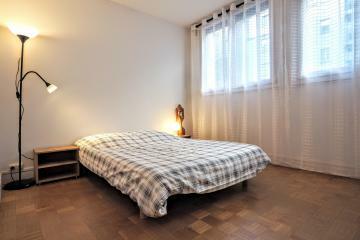 Ideal for a long term rental in Paris! 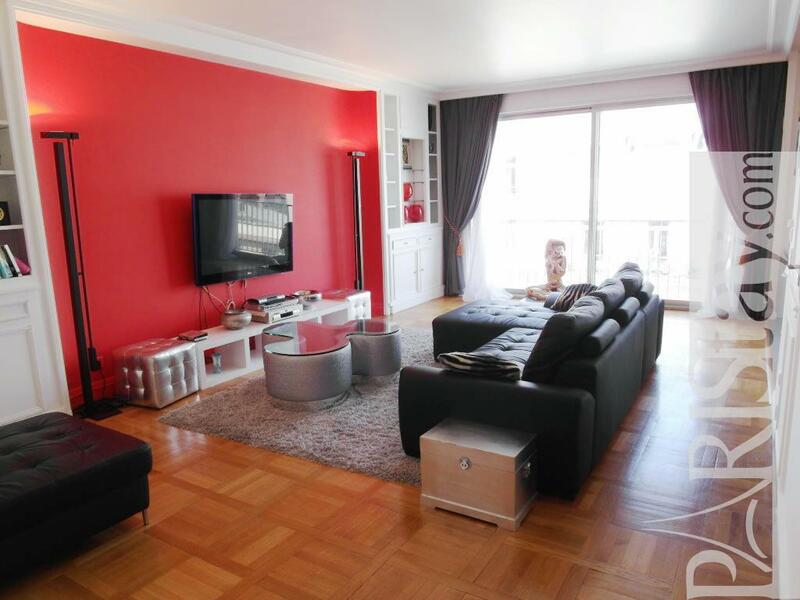 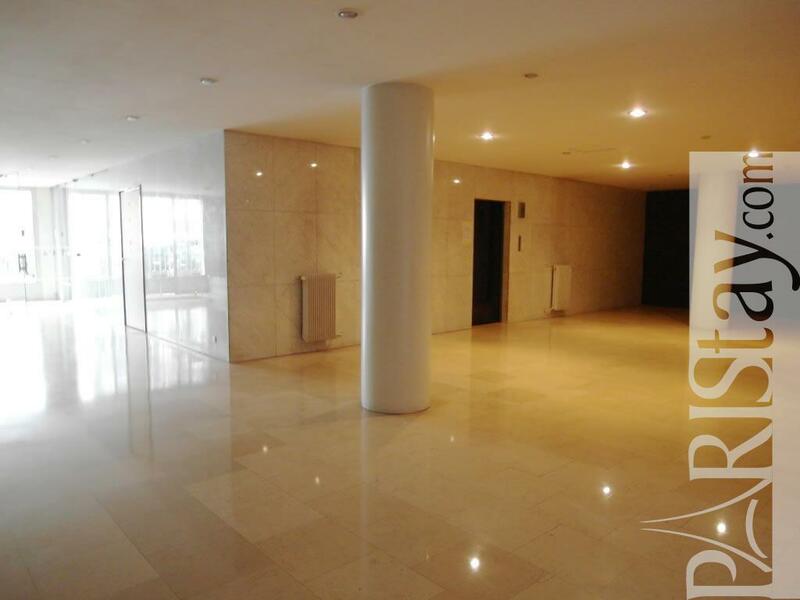 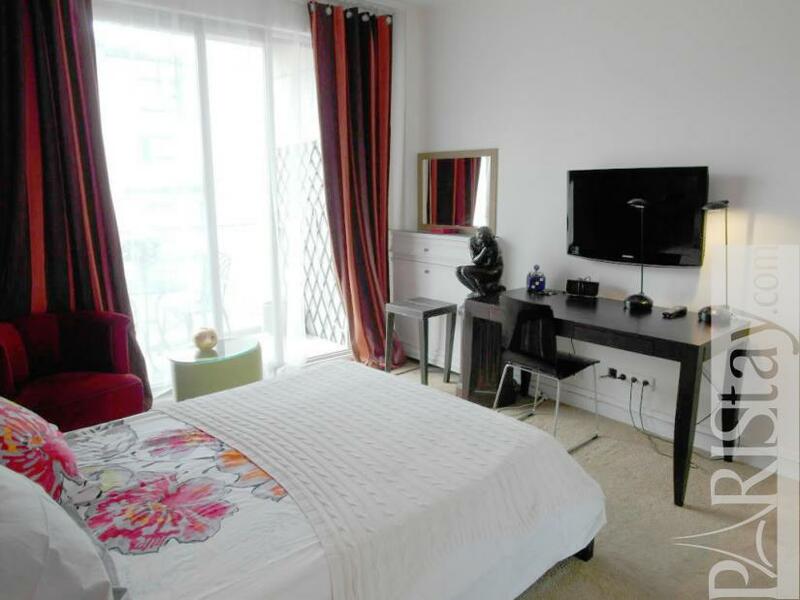 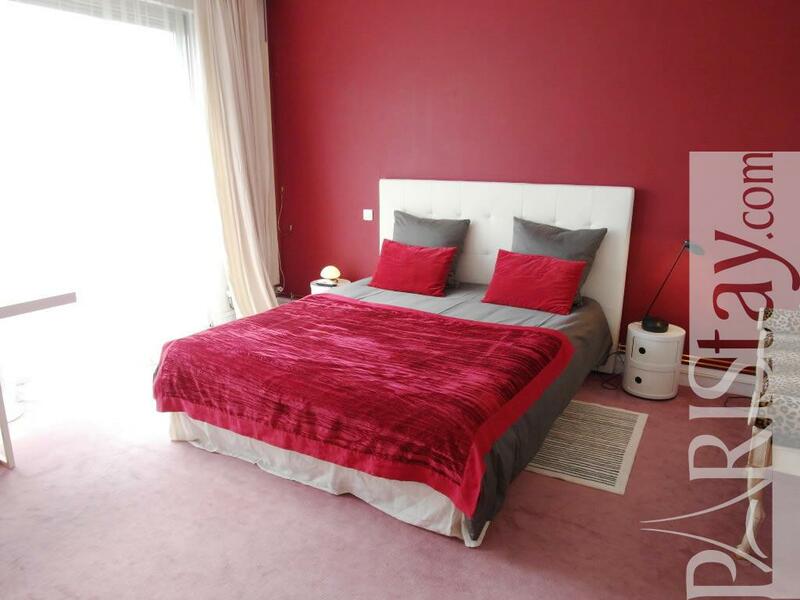 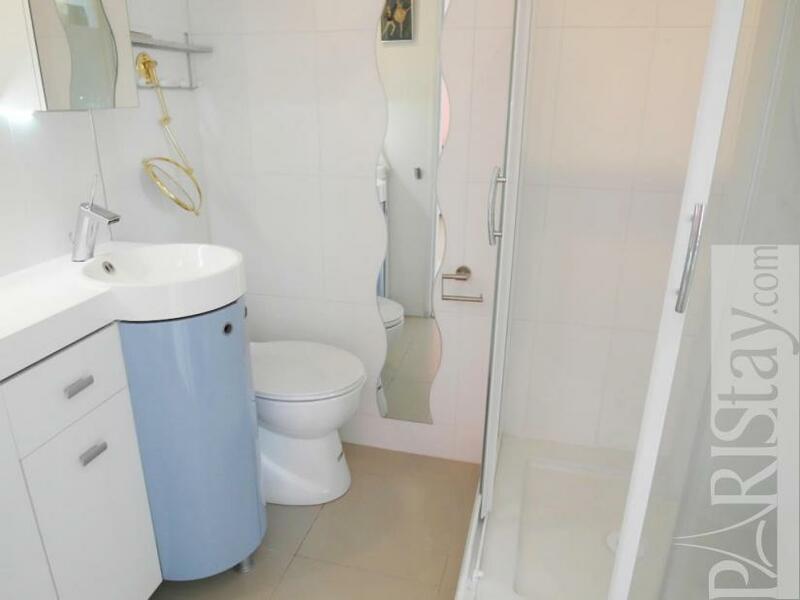 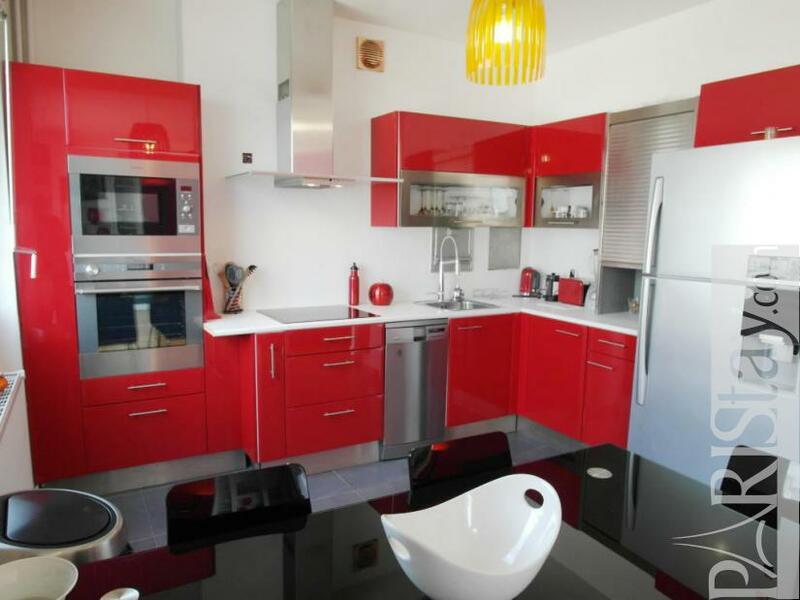 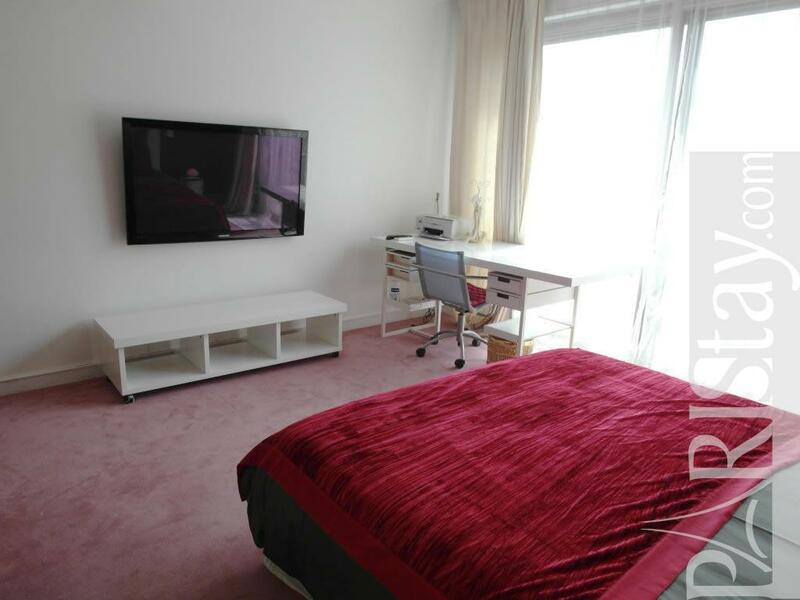 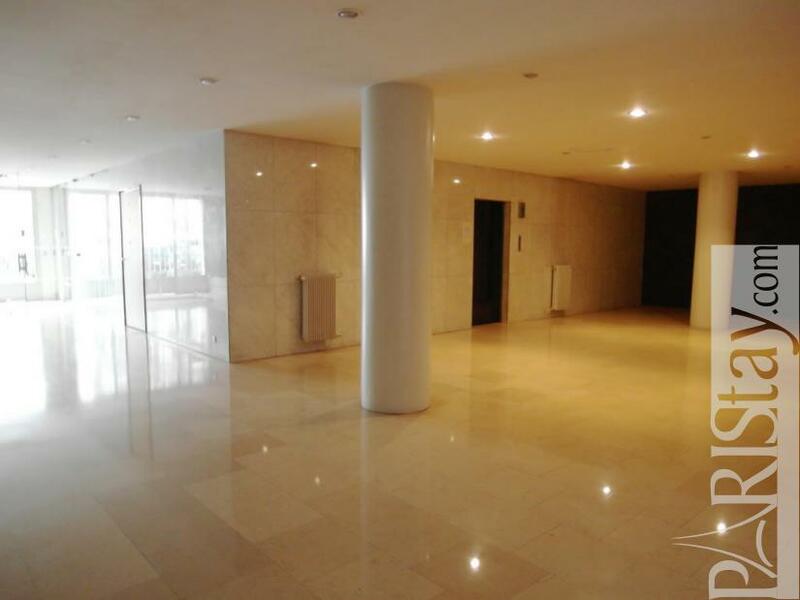 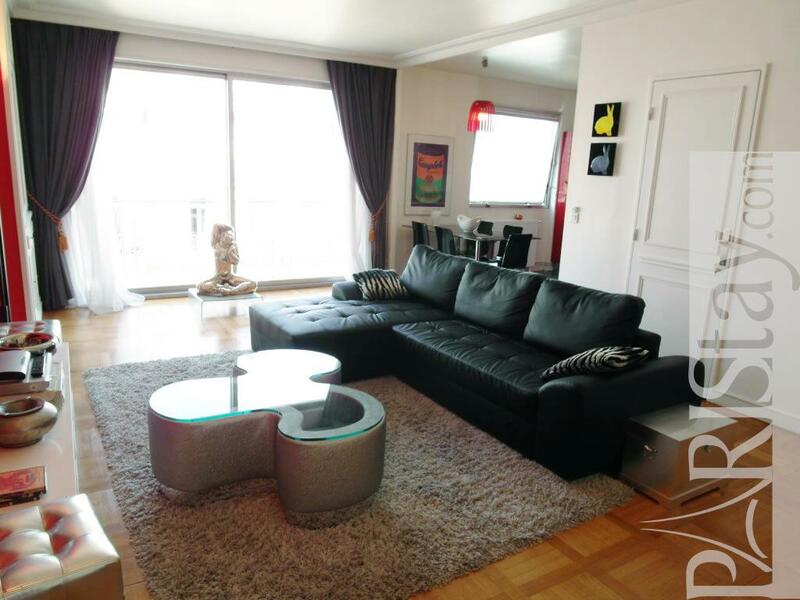 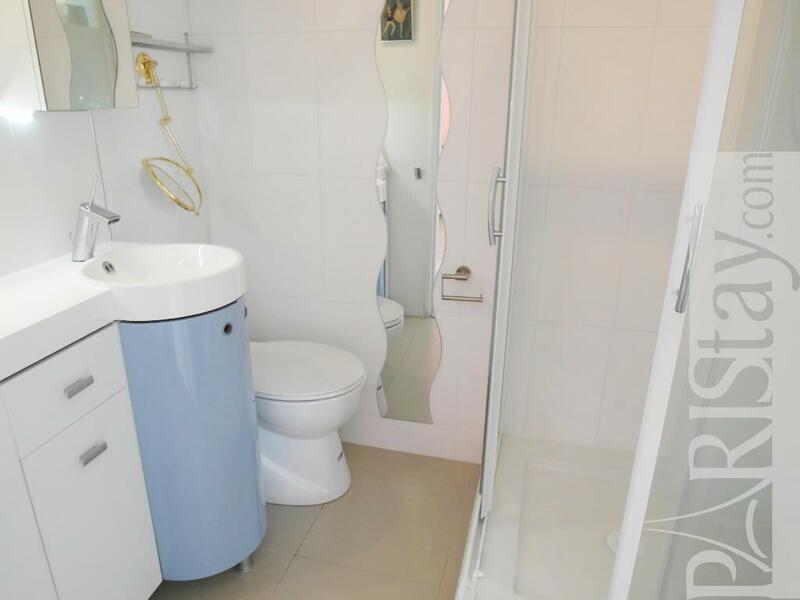 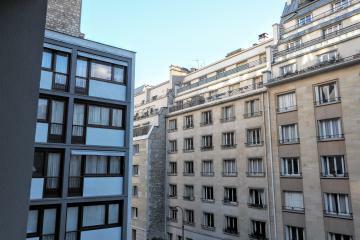 1960's Building, 7 rd floor, with Lift, entry code security system, 2 bedrooms Appartement, furnished, Approx: 110m² / 1183 Sq.Ft. 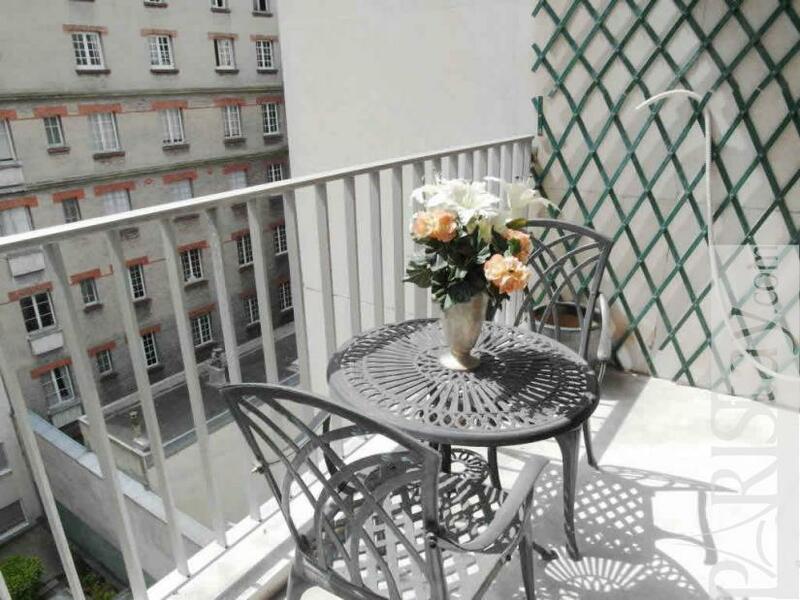 Terrace,Superintendent,High security lock on front door,Air conditioning.